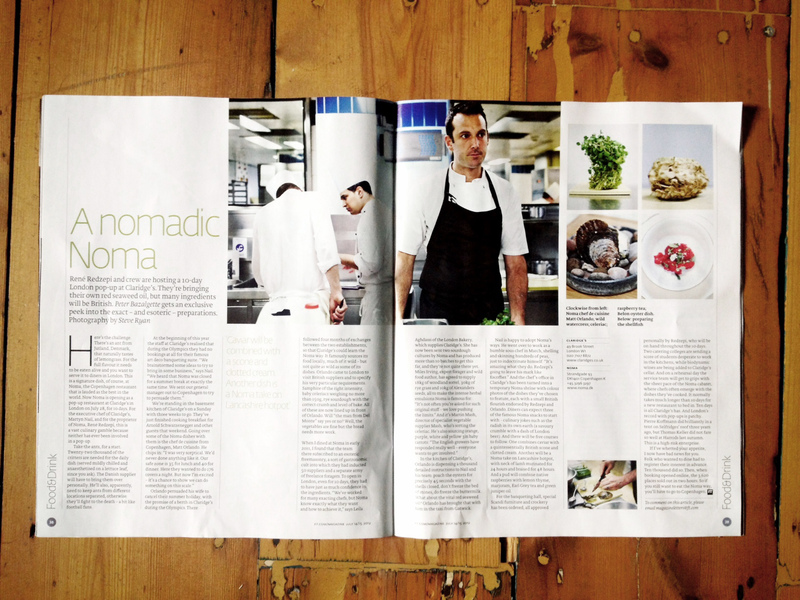 FT magazine: Noma’s pop up restaurant at Claridges, London. For this feature I spent the day with Matthew Orlando, Noma’s head chef, as he explained his recipes to the chefs at Claridges for their Olympic pop up restaurant. This feature was published in the Financial Times magazine on the 14th July 2012.